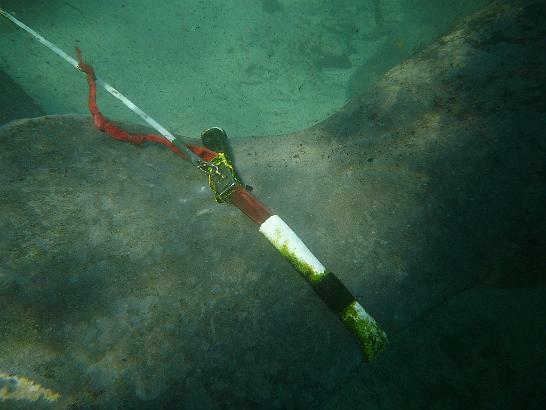 This strap goes around the base of the manatees tail (tail is to the left and the body is to the right). A cord about 4 feet long leads up to the left to the bouy. There is a quick release if the cord should get tangled - the "belt" will remain, but the bouy will come off so the manatee doesn't get injured or drowned.